“All sides in this conflict have shown disregard for civilian lives and are blatantly violating their international obligations,” said Salil Shetty, Amnesty International’s Secretary General. The conclusion was drawn on the basis of multiple interviews conducted on the ground in eastern Ukraine by Amnesty International researchers. They spoke to both people fleeing the conflict zones and to refugees, who have already found shelter in Russia’s Rostov region. 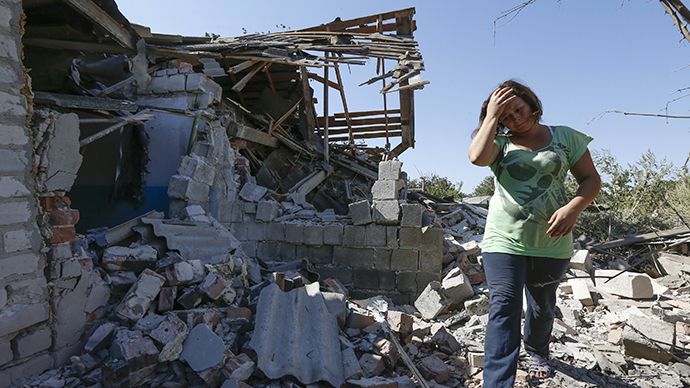 “Civilians from these areas told Amnesty International that the Ukrainian government forces subjected their neighborhoods to heavy shelling. Their testimonies suggest that the attacks were indiscriminate and may amount to war crimes,” the watchdog’s statement reads. Those interviewed also accused both the anti-government fighters and militants in the volunteer battalions, fighting alongside the government troops of abductions and tortures. The London-based group has called for “a thorough and independent investigation” into the reports of human rights violations. “Amnesty International is calling on the Ukrainian authorities to conduct an effective investigation into allegations of serious violations of international humanitarian law and bring to justice individuals responsible for war crimes,” says the group’s statement. The human rights watchdog has also accused Russia of “fuelling the conflict.” It is supporting its case with satellite imagery of alleged Russian weaponry on the territory of Ukraine. “Russia must stop the steady flow of weapons and other support to an insurgent force heavily implicated in gross human rights violations,” Amnesty International said. Moscow has repeatedly dismissed allegations of it providing military support to anti-government fighters in eastern Ukraine. 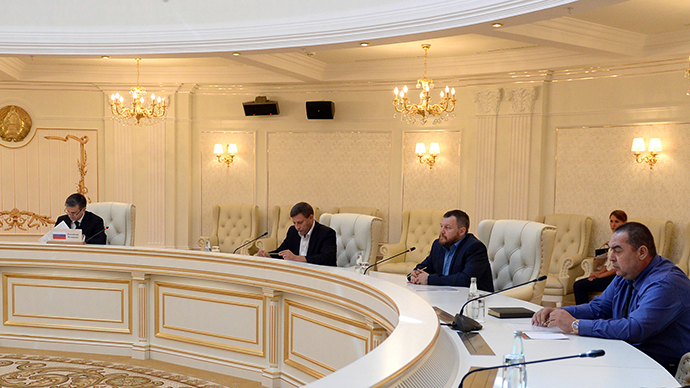 On Friday, Kiev officials and representatives of the two self-proclaimed republics in southeastern Ukraine – Lugansk and Donetsk – agreed to a ceasefire at a closed-doors meeting in Minsk, Belarus. 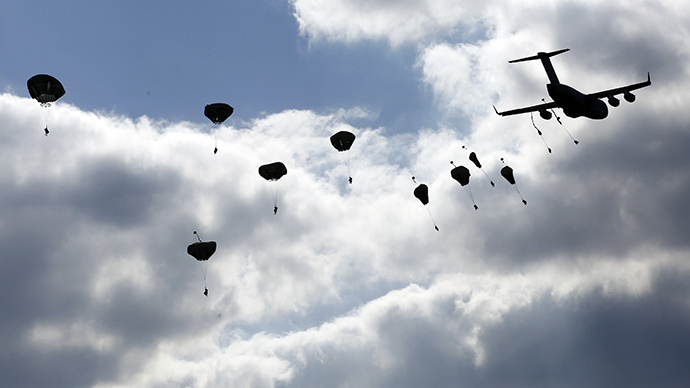 Both the Ukrainian troops and the anti-government forces have accused each other several times of violating the truce. Russia’s President Vladimir Putin and Ukraine’s leader Petro Poroshenko nevertheless agreed in a phone conversation on Saturday that the ceasefire in eastern Ukraine was “generally” being observed. 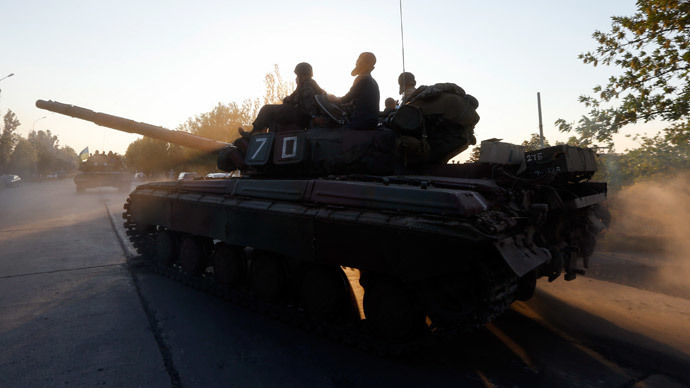 There have since been reports of sporadic shooting and artillery fire in the southeastern cities of Donetsk and Mariupol, where at least one civilian was reportedly killed. 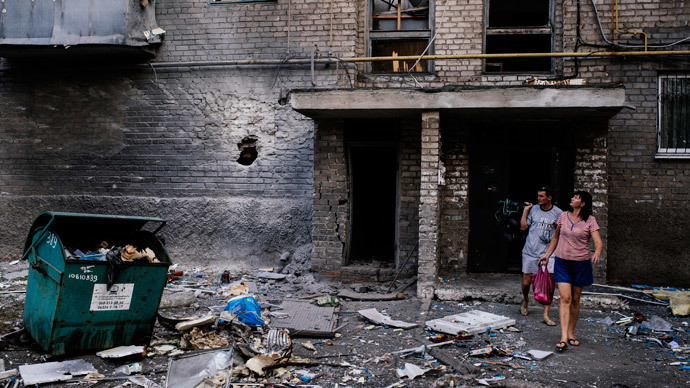 Since the conflict in Ukraine significantly deteriorated in mid-April, 2,593 people have died in fighting in the east of the country, while over 6,033 have been wounded. According to the UN, the number of internally displaced Ukrainians has reached 260,000, with another 814,000 finding refuge in Russia.